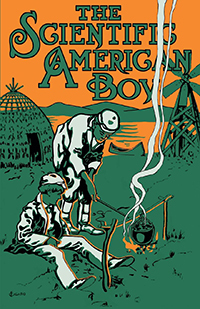 "Published by Scientific American in 1905, the book tells the story of a group of boys who explore Clump Island, a fictional place where boys could be boys. As they explore the island, the young friends are able to test their skills building all kinds of things. As the first in the Scientific American Boy series, this is a collection of science and nature activities for boys told in a fictional story. Includes diagrams and illustrations."